In the craze of shipping deadlines, purchase orders and factory-acceptance tests, we sometimes overlook what the purpose is of what we do at XANT. In the case of off-grid village power installations, it’s not until we arrive on-site that we meet face with the end-user. In Pilot Point, AK the XANT team got a particularly warm welcome. Pilot Point is a fishing village on the Ugashik Bay in south-west Alaska. Population stands at about 60 people, mostly native fishermen making a living with salmon fishing. These people work in the harshest environments: high winds, seasonal darkness, very cold water and icing are part of their daily routine during the short but intense fishing season. 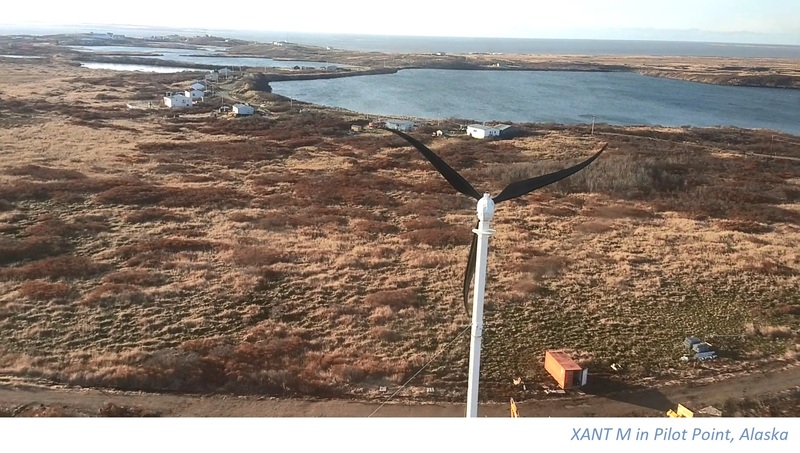 XANT teamed up with Intelligent Energy Services and the local crew to get the turbines up and running in what was a finger-numbing but heart-warming experience. The remoteness of the place makes our design-for-logistics especially suited for these locations knowing that getting any heavy equipment on-site can be more expensive than the equipment itself! The Pilot Point community has been preparing for the hybridization of their power system for almost a decade; numerous delays with funding and the need to align all views of the community members made it a very lengthy process. When the XANT team finally erected the first turbine a spontaneous feast involving cold beers and succulent moose-steaks erupted; the evening ended with a bonfire gathering all the locals to celebrate the first kWh harvested from the icy winds. What continue to amaze was the level of technical know-how in any engineering discipline and the degree of self-sufficiency of the locals: any technical problem was swiftly resolved by digging up the right tool from someone’s shed or basement, reciting the relevant ASME standard all the while. The icing on the cake of our trip to Pilot Point was our ride home. 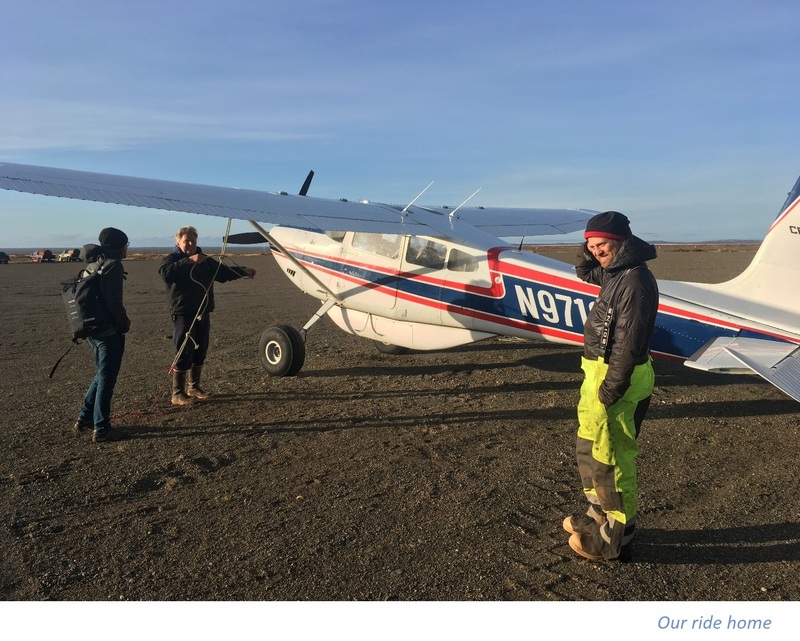 When we missed our flight, Rick took us in his Cessna to King Salmon for our connecting flight to Anchorage. Flying over the cinnamon-colored tundra, just able to spot a mama bear and her three cubs, we realized this had been a special trip to a special place with very special people. Many thanks to Eric, Rick, Bill, Greg, Patrick and all the others for this unique experience.